Our newest release of homes at Dovecote Place, Newburn Road, includes the four-bedroom detached Arundel (plot 35) – one of our most popular house types. 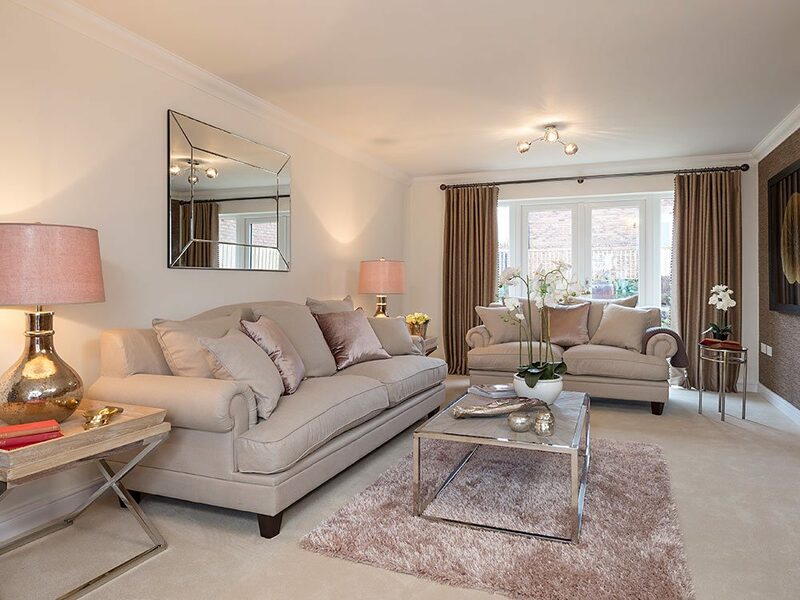 With a traditional exterior and three feature bay windows, the Arundel offers a high specification and 1,440 sq ft of flexible living space to suit all types of buyer. Outside, there is a detached garage, block paved driveway, paved patio and turfed front and rear gardens – all included in the purchase price. 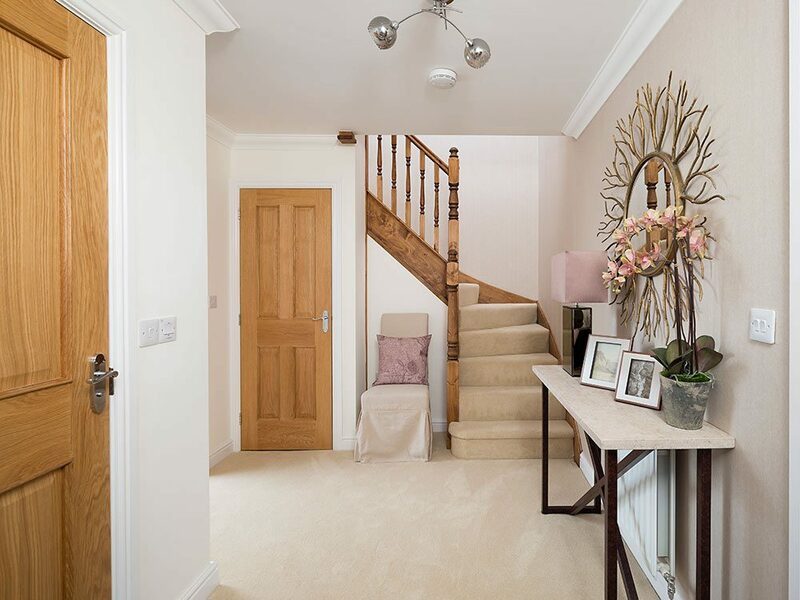 Internally, an impressive hallway leads to a lounge with bay window and bi-fold doors to the patio and garden. The fully integrated kitchen, also with bay window, has space for family dining and a separate utility room. Both the lounge and kitchen/diner run the full depth of the property. Upstairs there are four bedrooms, including the master with en-suite and walk-in shower. 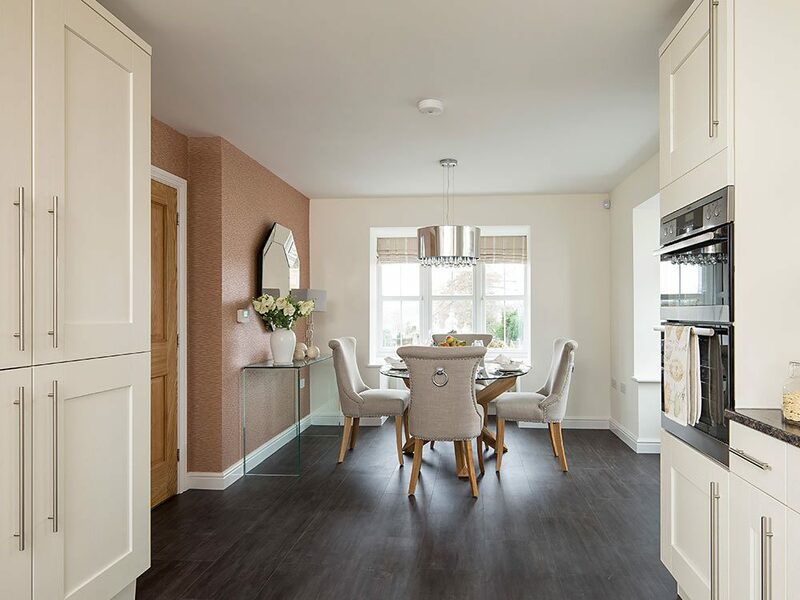 The 70-home Dovecote Place development is located on Newburn Road between the villages of Newburn and Throckley, and features a range of three and four-bedroom homes. 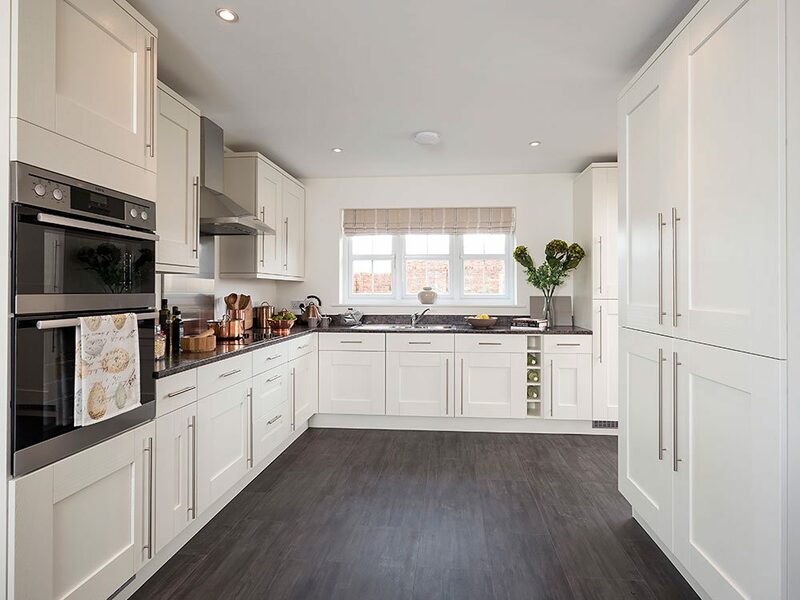 Katherine Hope, Head of Sales at Story Homes, said: “We have already sold several Arundels on this development and we have received a lot of interest from other potential buyers for this house type, so we are pleased to have released another for sale. Our Marketing Suite and Taunton show home at Dovecote Place are open from Thursdays to Mondays, 11am to 5pm. Prices start from £279,950. For more information call our Sales Executive on 07970 330 672 or email dovecoteplace@storyhomes.co.uk. Please note that the the Arundel can be 2 or 3 bays. Dimensions and layout shown are based on the 3 bay arrangement. For specific details please speak to Sales Executive. The images shown are for illustration purposes only. External materials, landscaping, open spaces and garage positions (where provided) may vary throughout the development. Properties may also be built handed (mirror image). Any promoted Story Homes offer is subject to terms and conditions. Offers are available on selected plots only, are subject to availability and cannot be used in conjunction with any other offer. Prices and details are correct at time of distribution. All images are representative of a typical Story Homes interior/exterior and are for illustrative purposes only. Story Homes reserve the right to withdraw or alter these offers at any time. For further information please speak to a Sales Executive.